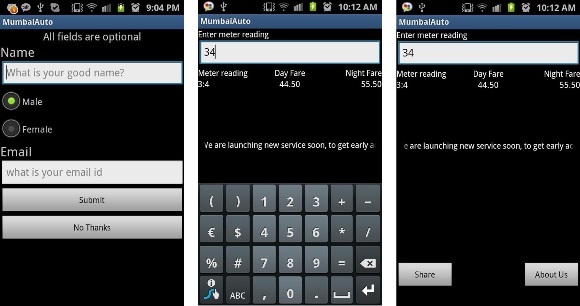 We recently posted about an app for people in Mumbai that calculates the Auto Rickshaw tariff and now here’s a quick review of the Mumbai Auto app for Android. It is a pretty simple and basic app. Just enter the meter reading and it automatically calculates and shows you the equivalent day fare and night fare. Now that is all that the app does, however it fetches you the correct fare which is very useful. 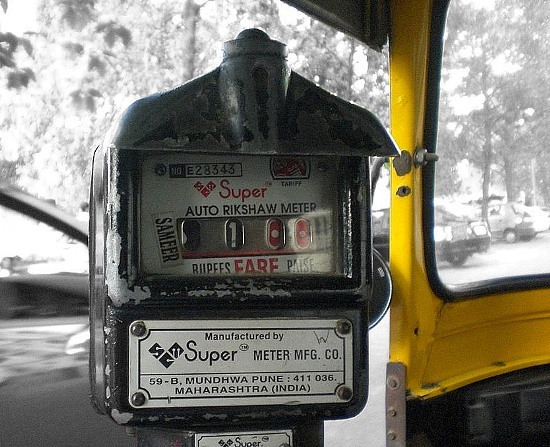 Now no more over charged fares for Auto Rickshaw rides. The app can be improved by adding more features, for example, regarding navigation like maps or maybe even planning a route from one place to another. There can also be an addition where the app can suggest you the shortest way to your destination via the Auto Rickshaw in case you don’t know your way around the city. We did get a tip from the developers that they are going to update the app, so let’s hope for the best. You can download the app from the Android Market over here.